The Syrian crisis has confounded political leaders and experts who forecast a rapid fall of the regime. This monumental error of interpretation has had tragic consequences for the unfolding of the crisis and its slide into a frightful civil war with regional and international ramifications. This book looks at Syrian reality in a new light. 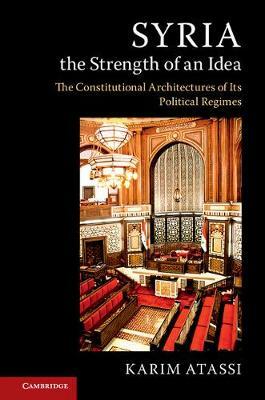 By analysing twenty-five constitutions and constitutional texts and proposing an innovative classification of the different political regimes that have shaped Syria over the last one hundred years, the author retraces the country's intense history and the persistence of a Syrian model defined by the Founding Fathers. If, on emerging from this war, Syria maintains its unity and gives itself a democratic regime reflecting its society, then the concept of Syria may find a new lease of life and Syria will once again be perceived as an idea full of promises.